When and why have human rights become effectively central? The course will answer such questions, stressing the multi-level dimensions of the work for human rights. Human rights are a complex issue. Their protection and promotion involve a number of actors: from international organisations to local communities, from governments to civil society. Human rights affect all aspects of our life, as individuals (as women, men, children, refugees, workers…) and as members of a community. This MOOC provides students with critical knowledge concerning the norms, institutions and procedures tasked to promote and protect human rights. Students will acquire the knowledge needed to actively join the global debate on fundamental rights and to avail themselves of the existing legal and institutional tools set up for their implementation. The MOOC introduces to the human rights legal framework in a multi-disciplinary and multi-level perspective, helping students to approach real-life scenarios with competence and cultural and ethical awareness. Students are expected to acquire a sound knowledge of the international system of human rights protection, and of the opportunities for human rights promotion and protection that are practically available at the national and local levels. The skills acquired can be preparatory for further specialisation on this subject. Finally, students will be able to apply the acquired knowledge and skills to real scenarios, including in relation to their everyday life. The MOOC is mainly addressed to people from all over the world who have a background in political science, international relations and/or international law. The course, however, includes a general introductory chapter explaining the main issues, concepts and scenarios at stake. For this reason the MOOC is also open to people actively engaged on the ground that do not have a specific academic or educational background. Chapter 1 - The basics The Chapter aims to introduce the course and starts addressing (and providing some preliminary answers) some basic questions: What are human rights? Who is involved in their protection? Why are human rights a global priority? How can effectively be protected? Chapter 2 - The UN and human rights The focus is on the evolution of the UN commitment in human rights protection based on three pillars: positivisation, monitoring and mainstreaming. Chapter 3 - The UN human rights machinery The analysis deals with the UN mechanisms for the protection of human rights at the global level. Special attention will be given to the role of the Human Rights Council and the Universal Periodic Review. Chapter 4 - The European system for the promotion and protection of human rights The Chapter starts looking into the promotion and protection of human rights at regional (continental or sub-continental) levels. In particular, the European system will be presented highlighting the respective roles of the European Union, the Council of Europe, and the OSCE and their capacity to interplay and possibly complement each other. Chapter 5 - Regional systems for the promotion and protection of human rights in Africa, Asia and the Americas The other regional systems investigated in this chapter are those operating in the framework of regional organisations in the Americas (the Organisation of American States), in Africa (the African Union), in the Arab world (the League of Arab States), as well as in South-East Asia (the ASEAN). Chapter 6 - Human rights in conflict and post-conflict contexts The focus shifts to the national level, in particular to situations of armed conflict and to post-conflict scenarios. Issues related to the standards and procedures of International Humanitarian Law and International Criminal Law are also tackled. Chapter 7 - Human rights promotion and protection at the National and sub-national level This Chapter addresses a number of issues related to the role of National Human Rights Institutions and other actors involved in human rights policies nationwide and at the local/community levels, such as local governments and municipalities. Chapter 8 - The driving forces of human rights promotion: the role of civil society The Chapter focuses on civil society organisations and networks. The analysis looks into the multifaceted strategies carried out by non-state actors, especially in relation to the international instances of human rights protection. Chapter 9 - Conclusions: perspectives on global human rights A summary and discussion of the multi-level dimensions of human rights protection dealt with in the previous chapters. This final segment provides some closing critical reflections on the questions set forth in Chapter 1. Mid –term homework At the end of chapter 4, the instructions for homework will be released: homework must be submitted by the end of chapter 6 (2 weeks). Homework consists of writing a communication or a petition addressed to one of the monitoring bodies studied in the first four chapters. The aim is to familiarise students with the tools of human rights protection mechanisms. The texts will be evaluated using a peer review methodology. Final homework At the end of chapter 8, the instructions for homework will be released: homework must be submitted in 2 weeks. Students will be asked to write, using a simplified form, a project addressing a human rights related issue that is challenging their town, territory, home country and likely to be taken up by governmental or non-governmental agencies. Within each chapter, the MOOC offers tailored case-studies, interviews with field experts, officers and academics. Approximately 4 hours per week for watching video lectures, taking quizzes, completing homework and reading the material provided. UNIPD Founded in 1222, the University of Padova is one of Europe’s oldest and most prestigious seats of learning: it is a multidisciplinary university, which aims to provide its students with both professional training and a solid cultural background. A qualification from the University of Padova is a symbol of having achieved an ambitious objective, one that is recognised and coveted by both students and employers alike. If you want to know more about the University of Padova, visit its website. HRC The Human Rights Centre of the University of Padova is the first established (in 1982) specialised structure dedicated to human rights in the framework of an Italian University, and one of the oldest in Europe. The Centre hosts the UNESCO Chair in Human rights, democracy and peace - its chair-holder being prof. Antonio Papisca - and the European Jean Monnet Centre of Excellence Intercultural dialogue, human rights and multi-level governance. It edits the Italian Yearbook of Human Rights and manages the Archive Peace Human Rights, a web portal on human rights funded by the Region of Veneto. The Centre supports the master’s degree in Human Rights and Multi-Level Governance at the University of Padova, and the postgraduate courses of the EU-backed EIUC (the European Inter-University Centre for Human Rights and Democratisation in Venice). Learn more about the Human Rights Centre of the University of Padova. 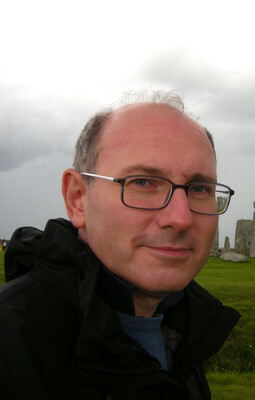 Paolo De Stefani is lecturer in international law and professor of international protection of human rights at the University of Padua (Italy). He has been adviser to the regional government of the Veneto Region and the Italian network of ombudspersons on human rights implementation policies, and has collaborated with several NGOs in Italy and abroad. He has authored and edited publications on human rights, international criminal law, children’s rights, national institutions for human rights. Since the academic year 2007-08 he is “national director” for Italy of the European Master’s Degree in Human Rights and Democratisation. He is member of some research institutions in the areas of international law, political science and social research, with a focus on human rights implementation. 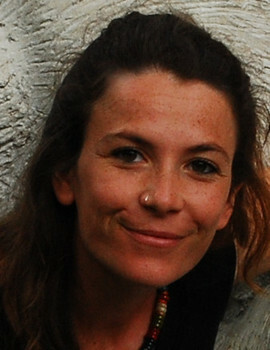 Claudia Pividori holds a Ph.D in International Order and Human Rights from the University La Sapienza in Rome. Her research focused on the connections between the principle of complementarity and the national implementation process of the Rome Statute establishing the International Criminal Court. 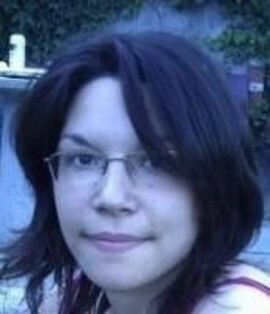 She is a junior researcher at the University Human Rights Centre of the University of Padua. At the same University she is contract professor of "Accountability for International Crimes in Europe." She holds a BA in International Relations and Human Rights and a MA in Institutions and Policies of Human Rights and Peace from the University of Padua. Her research interests focus on international law, international human rights law, international humanitarian, criminal and refugee law. 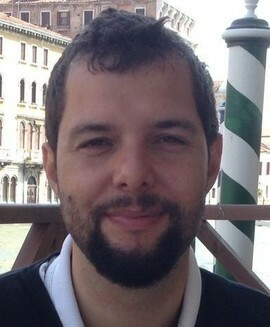 Andrea Cofelice is a Ph.D. candidate in Political Science – Comparative and European Politics at the University of Siena. His research deals with the empowerment of international parliamentary institutions, in a global and comparative perspective. 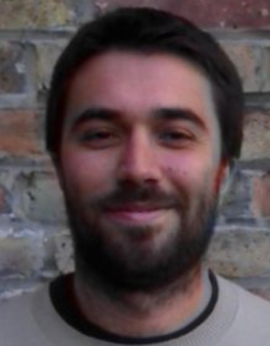 He is also a junior researcher at the Interdepartmental Centre on Human Rights and the Rights of Peoples of the University of Padua. He holds a BA in International Relations and Human Rights and a MA in Institutions and Policies of Human Rights and Peace from the University of Padua (Faculty of Political Science). His research interests focus on international democracy, international parliamentary institutions, international human rights institutions, global governance and human rights policies.